Der Artikel Carl Heinrich Reinecke (1824-1910): Kammermusik mit Klarinette wurde in den Warenkorb gelegt. 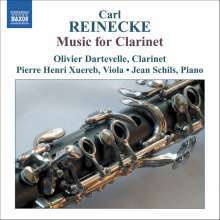 Distinguished in his day as a conductor and pianist, Reinecke is now remembered chiefly as the teacher of some of the leading composers of the later 19th century. He was, at the same time, an immensely prolific if relatively conventional composer. 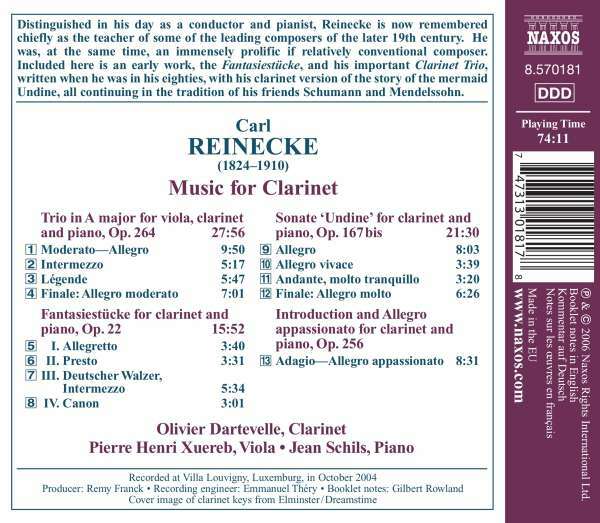 Included here is an early work, the Fantasiestucke, and his important Clarinet Trio, written when he was in his eighties, with his clarinet version of the story of the mermaid Undine, all continuing in the tradition of his friends Schumann and Mendelssohn.